- ROUMANIE – Rosia Montana - Dans la région minière de Rosia Montana, une équipe franco-roumaine d’archéologues a découvert dans une mine une ancienne installation d’évacuation des eaux usées. Le système hydraulique a été réalisé au IIe siècle après JC et il a été très bien conservé. « C’est la première fois depuis 1930 qu’un tel système est découvert dans une mine européenne », a remarqué Béatrice Cuet, la coordonnatrice des travaux. - USA – Pleasanton - A team of archaeologists recently uncovered a trove of American Indian remains in Pleasanton at the undeveloped site of a future Safeway. This is the fourth time in the past decade, Dr. James Allan and his colleagues have worked at the site, to unearth the remains and artifacts of Ohlone Indians. As of Friday, Allan and his team discovered 19 sets of Ohlone remains. "It appears to be the case that Ohlone Indians called this area home," said Allan, the company's vice president and principal. "Given the number that we have found, and the close distance, it appears to be a fairly large population." 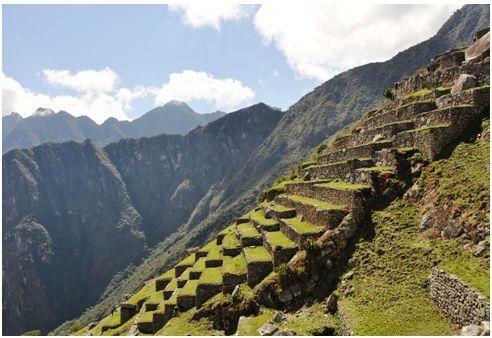 - PEROU – Machu Picchu - Several ancient terraces have been recently restored at Machu Picchu. The terraces are located in the eastern part of the archaeological complex over an area encompassing four hectares, and have been divided into five groups for the purposes of restoration. To date, work has been completed on the first four groups. Piedad Champi, archaeologist in charge of the restorations, reported that the terraces were constructed between 1470 and 1530. Their presence means that construction of the complex was still ongoing at the time of its abandonment. The terraces probably served as places to experiment with various crops and adapt them for growth in distinct microclimates. They also most likely had a ceremonial purpose, as they face the point of sunrise. Also uncovered in the area were “hammer” rocks that the Incas used to shape larger rocks, which were then used to build the terraces. The discovery of a set of stairs that seems to lead from the first group of terraces toward the citadel, but is eventually lost in the forest. 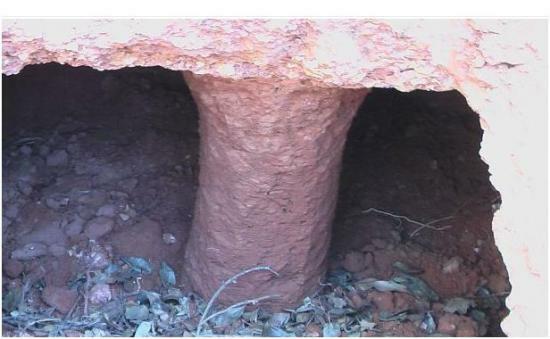 - INDE – Kodiyeri - A laterite dome belonging to the megalithic period has been found at Kodiyeri, near Thalassery. The dome was unearthed accidentally at a private plot of land in Karaal Street, Kodiyeri, while soil was being removed a few days ago, Kannur University Anthropology Department head S. Gregory said. The dome was discovered at one-metre depth, Dr. Gregory said. A polished 75-centimetre-tall laterite pillar was at the centre of the semi-spherical-shaped dome with two stone benches on either side, he said. Megalithic humans were the earliest to construct laterite domes, which were used by them for the secondary burial of certain bones of the dead, Dr. Gregory said. Some pieces of the bones and iron knives and lamp posts were found inside the dome, he said. The finds unearthed from the cave include three-legged red earthen pots and black earthen pots and lids. Dr. Gregory and N.K. Ramesh, a former student of the Anthropology Department, collected the remains from the site. Mr. Ramesh said local people recalled the finding of a similar dome in a nearby area nearly 40 years ago. Three similar domes had been found in the past at Kuttikunnu, Sreekantapuram, here and urn burials at Peringathur . He said evidence of megalithic cultures in India had been found for the first time by the archaeologist Babington in 1823 from a site in the erstwhile Chirakkal taluk in the district that became a landmark for evidence of megalithic culture in the State. - MALAISIE – Bukit Bunuh - The the 1.83 million year-old paleolithic cultural complex site at Bukit Bunuh in Lenggong will be gazetted as a world heritage site by Unesco in July 2012. Universiti Sains Malaysia (USM) Global Archeology Research Centre director Prof Mokhtar Saidin said USM and National Heritage Department had written to Unesco on the discovery. He said Unesco experts would be visiting the complex site in July next year. “Scientific proof found in Bukit Bunuh proves that it was inhabited by about 1,000 people and was used 30,000-40,000 year earlier. “They had basic needs like stone tools, water source, the flora and fauna,” he told reporters after visiting the complex site on Sunday. The discovery was made by USM researchers. Mokhtar said research since 1997 revealed that it was the world’s only paleolithic site which functioned as a workshop for stone tools. “We found more than 200 cutting tools and proof of meteorites. The find will change the nomadic theory of plaeolithic culture that the people wandered from place to place,” he added.